BeerTAG® | Creator of the World's Most Popular Bottle Markers | Tailgate with BeerTAG! The BeerTAG® Bottle Marker is a sleeve that fits over the neck of a beer bottle to identify ownership. It's a tag for your beer. Created in a variety of colors and designs, the BeerTAG® Bottle Marker is a simple solution for everyone. 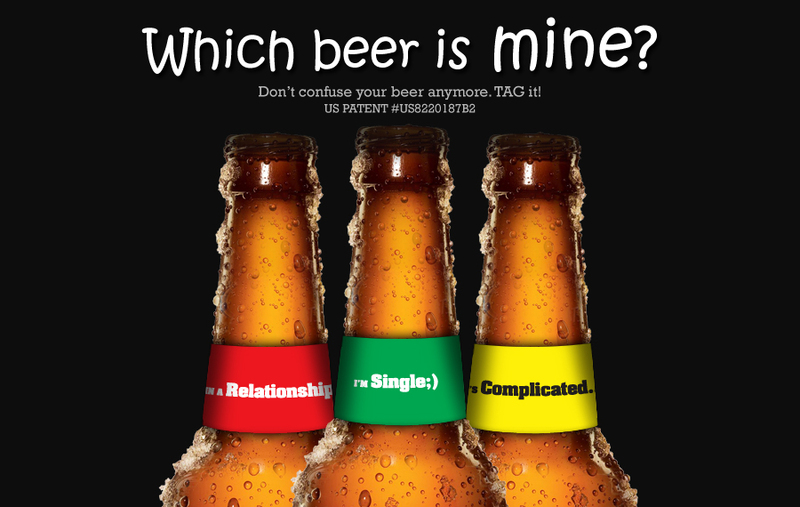 Don't confuse your beer anymore, TAG it! The BeerTAG® Bottle Marker offers beer distributors a unique opportunity to promote their brands, directly onto a competitor's product, in the on-premise environment. U.S. Patent #US8220187B2. Global Patents Pending. BeerTAG® is a registered trademark of BEERTAG LLC. Copyright © 2010, BEERTAG LLC. All rights reserved.